Soon after the opening of the BDC office, the BDC and the Chamber of Commerce and Industry of Trincomalee District (CCITD) signed a Memorandum of Understanding (MoU) in the presence of distinguished gathering. 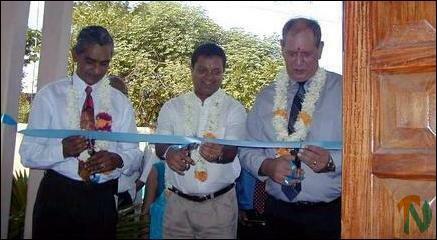 Mr.K.Thurairajah, President of the CCITD and Mr. Ratnam Selvarajah, Manager of the BDC in Trincomalee signed the MoU. The general objective of the MoU is to foster co-operation and exchange in the promotion and development of a sustainable BDS market in Trincomalee district capable of supporting SME sector growth, sources said. The BDC network consists of six business centres located in five regional economic zones throughout the country with offices in Jaffna, Trincomalee, Kurunagala, Kandy, Colombo and Matara, sources said. BDC network is owned and operated by three private sector business development organizations: Sri Lanka Business Development Centre (SLBDC); the Industrial Services Bureau (ISB); and the Sarvodhaya Economic Enterprise Development Services (Gte) Ltd. (SEEDS). Funding for the establishment of the BDC network has been provided by the BSSF under the SME Sectoral Development Programme, a joint project of the Government of Sri Lanka (GOSL) and the Asian Development Bank (ADB). Serve as co-ordinating point within the zone for BSSF initiated and BDS related interventions. 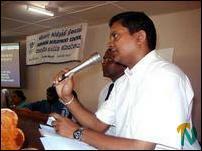 The newly opened BDC in Trincomalee later held a workshop for the stakeholders at the Hotel Club Oceanic, sources said.